One medium pyramid object based on traditional Scandinavian himmeli mobiles. 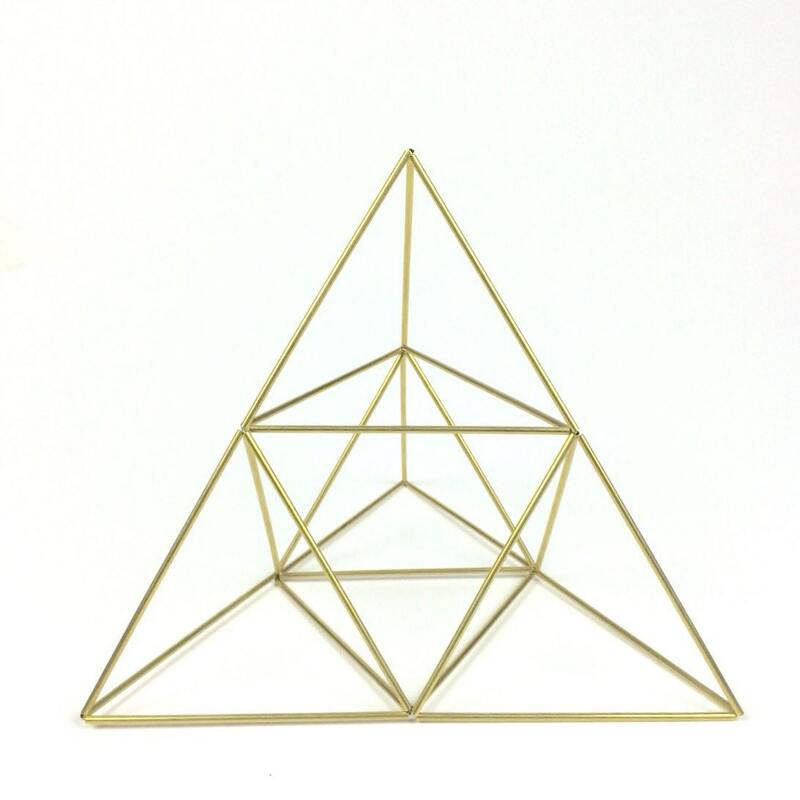 Use as a tabletop sculpture or place anywhere you need a little extra geometric magic in your life. Originally himmeli mobiles were made from rye straw and hung over the dinner table to ensure a good harvest. These himmelis are made of brass, silver or aluminum so they can last for many years to come. Please select your desired finish at checkout.